In an age of ballistic BMW S1000RRs and savage Kawasaki ZX-10Rs creeping ever-closer to a genuine claim of 200bhp, the Ducati 1199 Panigale was the long-awaited successor to the outgoing 1198 superbike. Launched in Abu Dhabi in 2012 to the world’s press, it was a bike that Ducati staked its hopes on for success in the world of racing and performance road bikes. As well as an increase in capacity, the first Panigale broke tradition by featuring a frameless chassis - meaning all of the external ancillaries like the clocks, forks and swingarm were all bolted directly to the thumping 90-degree V-Twin. The bike also featured a completely new riding position, never before seen on performance-focussed Dukes. Sitting further forward, there is less of a reach to the bars - allowing the rider to remain more in control at higher speeds. Ducati also redressed the delivery of torque to make the bike manageable from low-down in the revs under hard acceleration - something its ancestor (the 1198) struggled with, thanks to an excessive amount of wallop at the bottom-end. The results were stunning and for a shade under £20,000 you could have a gorgeous Italian superbike that not only pulled like a train, but also handled like a (usually far nimbler) Japanese four-pot litre bike. If that is a little bit out of your price range, you will be pleased to know that there are now plenty of used machines available on MCN Bikes For Sale. Tempted? Of course you are. 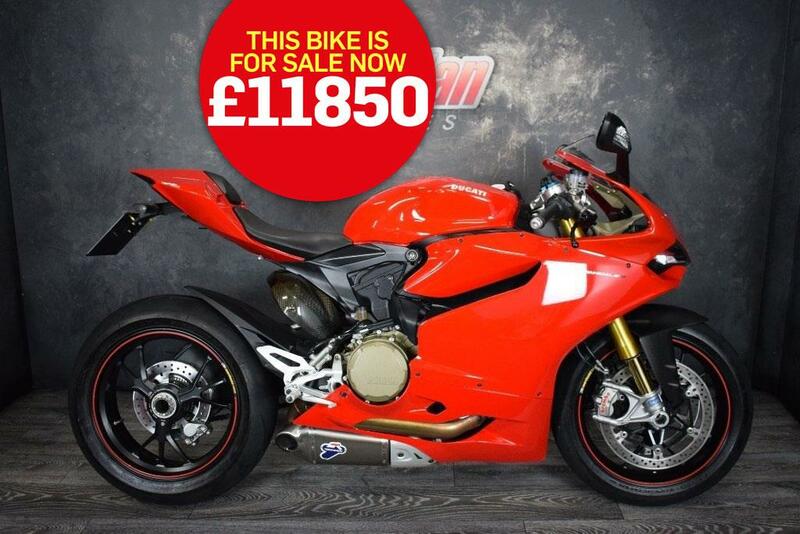 Sellers Jordan Bikes, in Gildersome, say: "Finished in a distinctive Ducati red, this is a beautiful one owner bike. This is the S model, which comes with a full colour TFT display, electronic Ohlins suspension, Brembo brakes, Marchesini forged wheels, adjustable power modes, traction control, ABS and engine braking. "This bike has also been fitted with a full Termignoni exhaust system and carbon fibre covers. What's more, there's a full dealership history and two seats. The bike also comes with a three month warranty and you can upgrade to up to three years RAC nationwide warranty." Find a Ducati Panigale for sale.